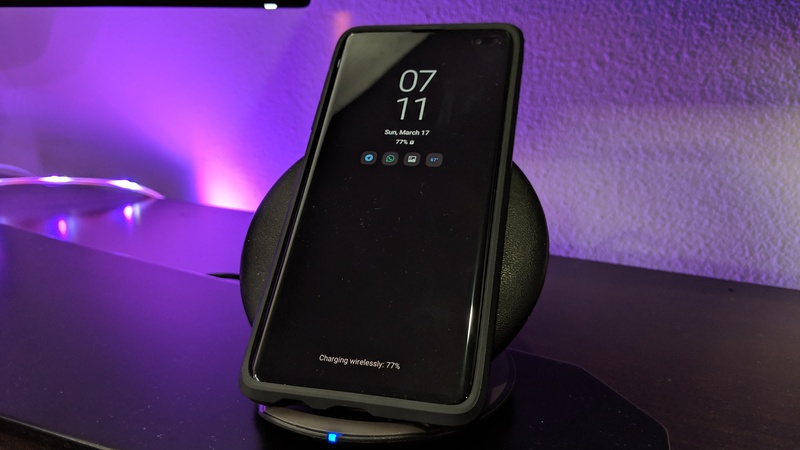 On most phones that feature wireless charging, you typically need to give up that convenience when installing a magnetic plate for phone mounts — or place the mount in a location where it works poorly to keep it. In our testing, though, that isn't the case when it comes to the Galaxy S10+. The phone is able to work with a magnetic mount quite far up the back, with no loss in wireless charging functionality. You can put the plate for a magnetic mount in a spot that doesn't hinder either ergonomics or wireless charging. AP's own Artem was able to install his magnetic plate far closer to the center than he expected and still keep his wireless charging working. For perspective, his Pixel 3 XL would retain the ability to charge wirelessly when the plate was as far down the back as it could go. 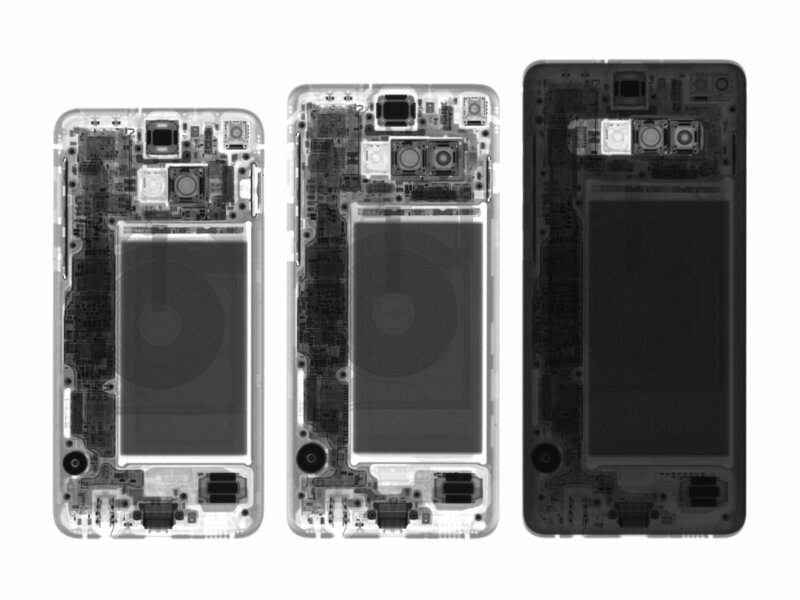 Interestingly, this is despite the charging coil being effectively dead-center on the back of the phone (pictured just above). For whatever reason, it seems to work even though it's partially covered by the RF-opaque metal plate. 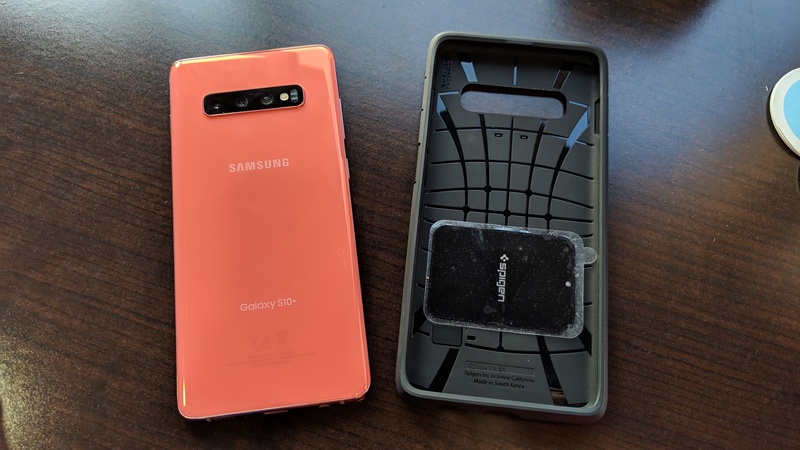 We haven't tested the smaller S10 or S10e, but it's possible a similar configuration could work for those phones as well, though they'd have less space across the back to work with. YMMV. While we still haven't been able to test how this configuration would play out on the Galaxy S10 or S10e, we came across some evidence that suggests they're likely to work about as well as their larger sibling. It's a little faint, but you can just make out the shadow of the charging coil on each of these phones, and on all three it's positioned quite similarly. While that's not a 100% guarantee, it's sure making us feel positive about the idea that the GS10+'s ability to charge even with a magnetic plate in place might also extend to the rest of these models.